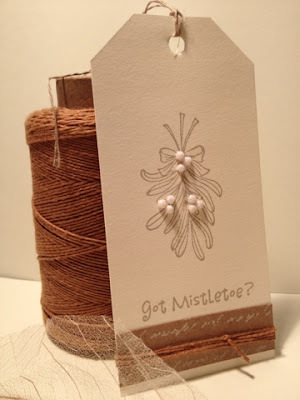 The ever so talented designers at CAS-ual Fridays have a Lovely Tag Challenge this week. I am over the moon for the featured designer and flair on their blog! Another entry for the fun of it to CASology. The CASology designers are so inspiring. I hope my energy stays with me! to get my Christmas shopping done! 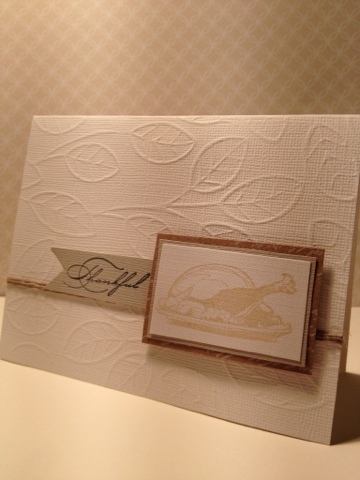 CASology guest designers are super, and the designers that post as well are so talented. Stay tuned and check them out! Well, I am bold, I am daring. I will post another card. 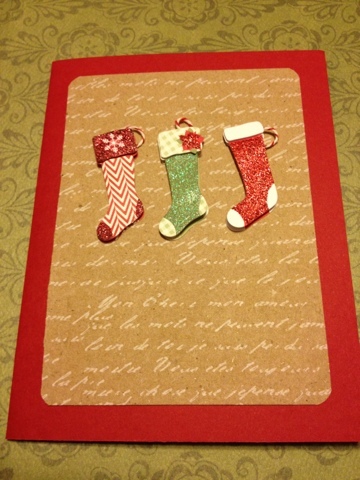 I can't help it, I get so "into" it when I start to make cards! Just lovin' it! I love lattes. And when it is Christmas time you can get eggnog, and pumpkin spice flavors. Soooooooooo good with whip cream. 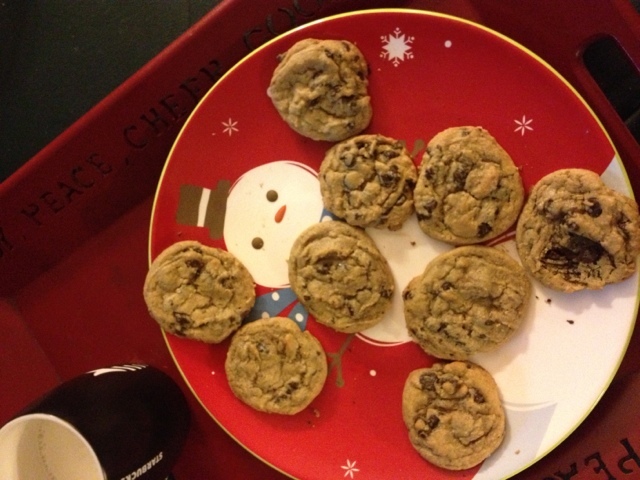 I do not splurge on them during the year. 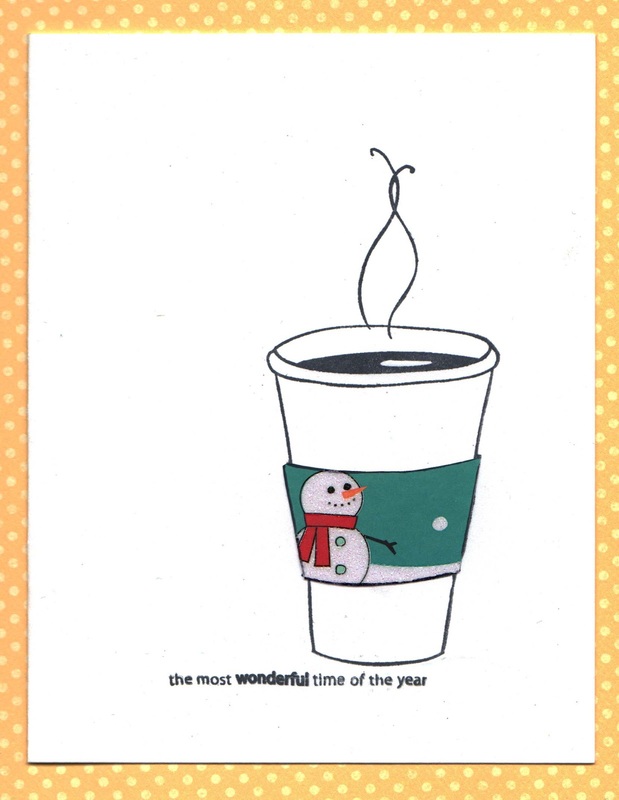 During the holidays, I indulge in little pleasures like a wonderfully spiced latte. So for me, it really is the most wonderful time of the year! Wow.. I really need better lighting.. I scanned the top one.. 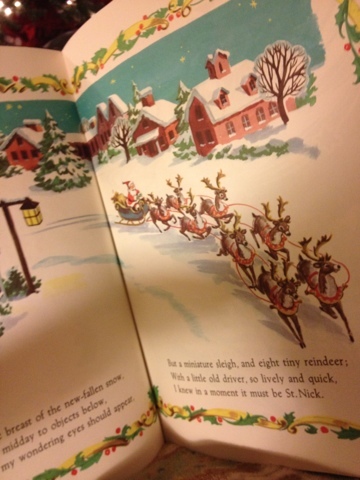 Putting up the tree, a nice cozy story. 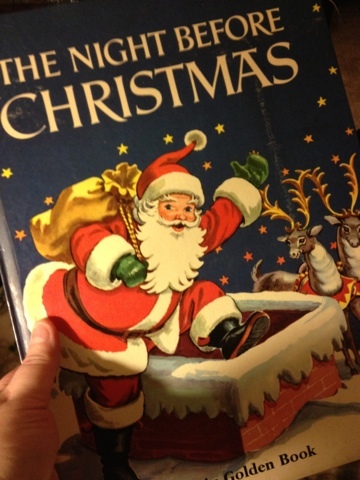 A very vintage Night Before Christmas. 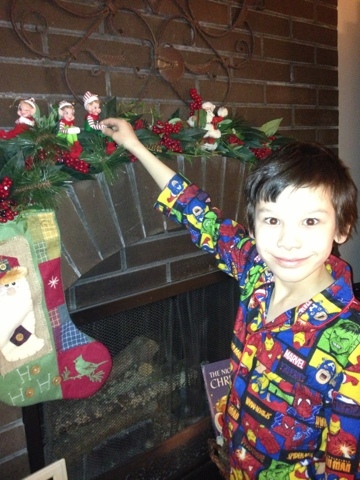 Conrad loves when I "sound" like Santa when he calls the reindeer names! Well, this is definitely the before shot. And a string is out or unplugged. This a call for Scott... When he gets home he can figure it out. Or he will feel left out! Look at them CRAzeeeeee Eyes. I love these rolly poly guys! 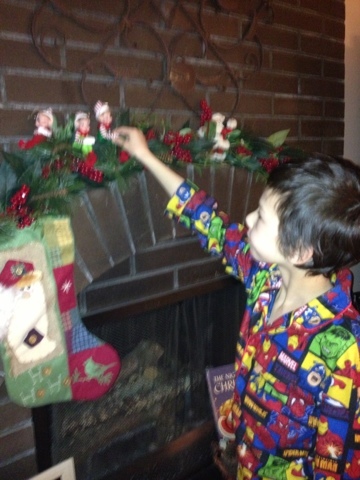 Conrad gets to put them up. A hello especially for you Karin! 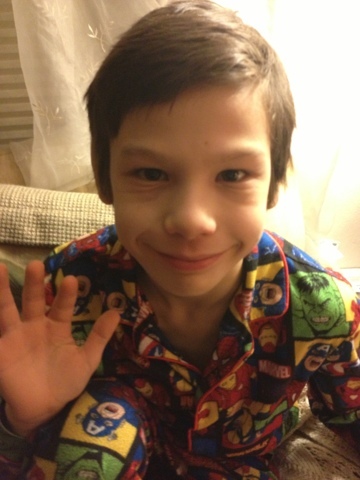 Conrad in his favorite pj's from Karin. 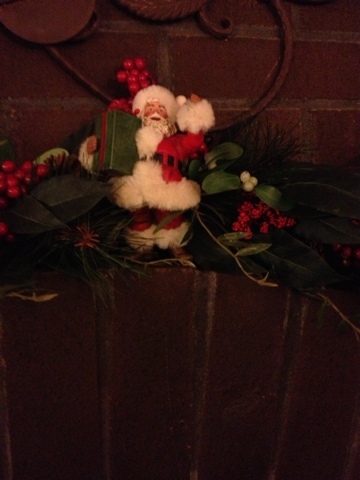 I found him in them when I got home today. Mom asked if he would fill the bird bath and he told me he got wet in the process. What to do? Favorite jam janmers of course! 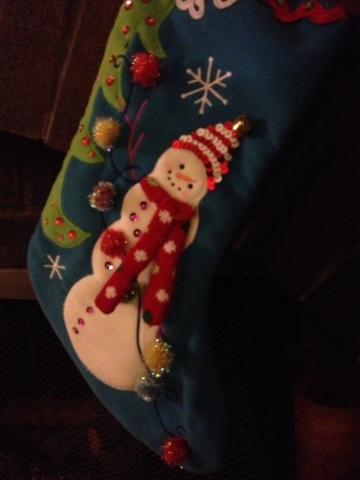 Well I really will miss Scott's family this holiday season ! 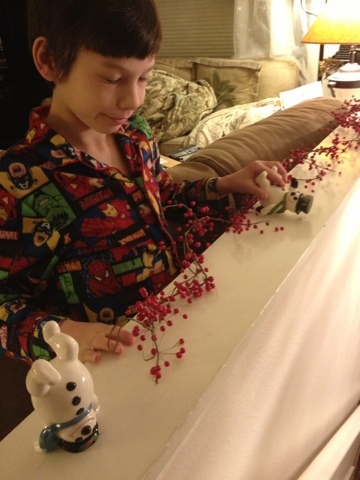 All of his family has little holiday touches everywhere when they decorate. 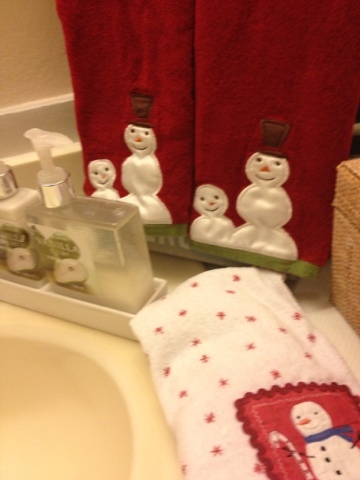 This year I placed some cute towels in the main powder room. This was a first for me. I cooked Cornish game hens stuffed with rice. 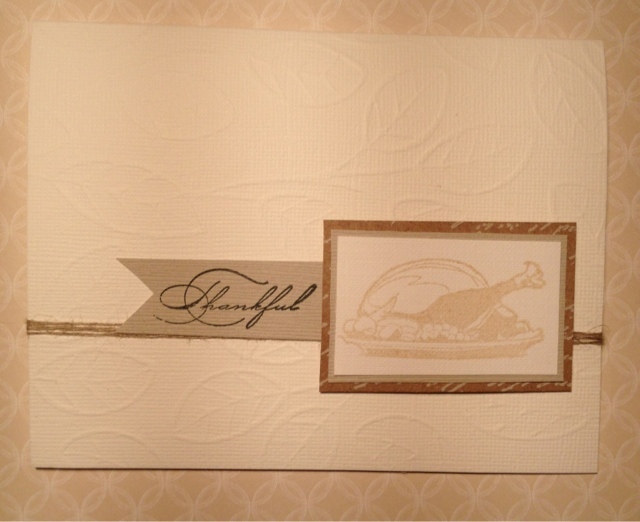 It was so much fun to see Conrad so thrilled to have his very own "Mini Turkey." 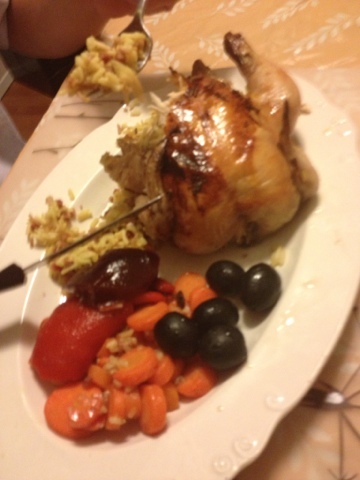 Cornish game hen with rice and bacon stuffing, pumpkin preserves glazed with carrots. Cranberry jelly, jumbo olives. This plate was my brother Dustin's so I also gave him a whole roasted red pepper. 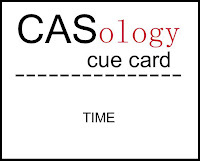 CASology a clean and simple card challenge this week was to post your own interpretation of "gobble." I like clean and simple cards, and also love texture too. Maybe this is too busy? 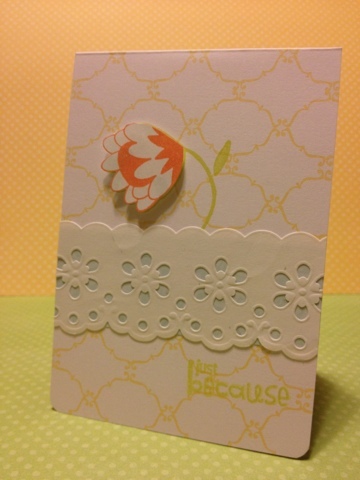 I had purchased the Simon Stamp Banner Die and Stamp Set and while I was also brousing around for card ideas for the set.... when I came across the Simon Says Card Challenge Blog. 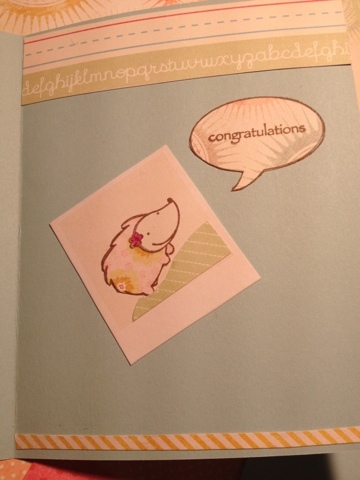 This challenge was a square sketch challenge and preferred use of a stampshappen stamp. I looked at the designer examples. 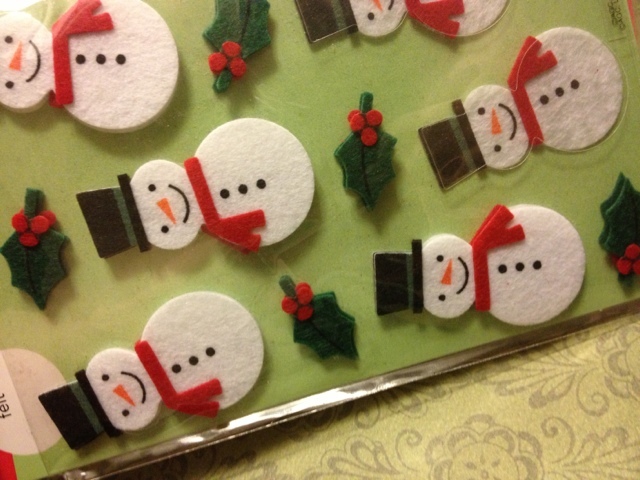 Wow, I have some Stampshappen stamps, that snowman one especially. Which I had been eyeballing to do a card anyways! -Win, Win! 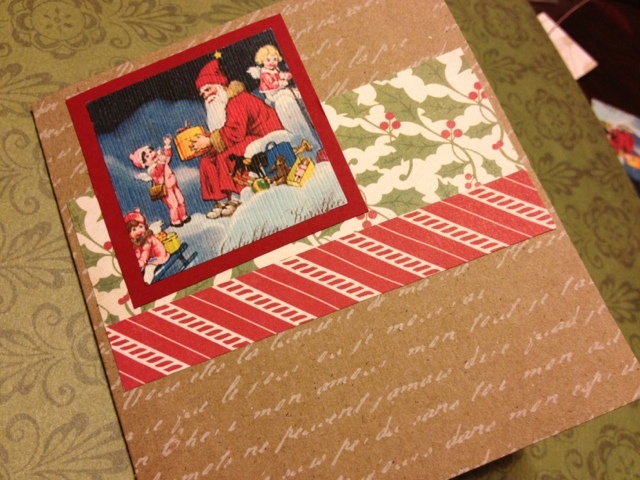 I also fell in love with the Mambi Paper pad. (Whoot Whoot!! - it was 40% off at Michaels Craft Store) So these papers are totally cutesy christmas. 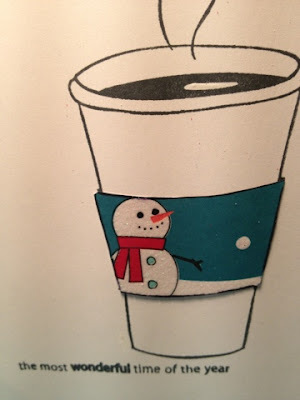 Stamp: StampsHappen Let it Snow Man! We are enjoying a quiet day. We had steak and eggs for breakfast .....and afterwards we all watched the Macy's Thanksgiving Parade and savored a pumpkin cupcake. I had Pumpkin creamer coffee with mine. 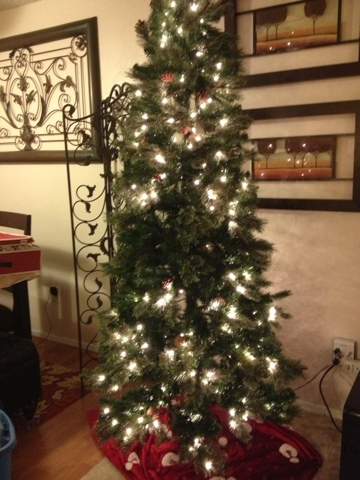 Ahh the holidays. Conrad is still in his Marvel comic book character Pj's Karin bought him for Christmas (he loves them to death, and they fit just right). I admit I am still in my robe too, perusing card crafter blogs. I found the Simon Stamp Card Challenge Blog that you can earn a $50 in mechandise at their store. 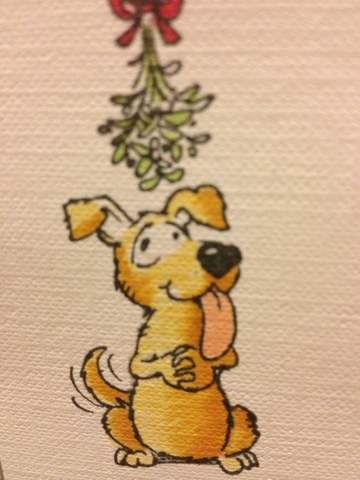 You had better believe that within half an hour I had a card ready! Scott, what is he up to? Well... he is in his studio/study/den/office/man cave. He retreated there when I put on Shrek Ever After on the TV as background. He hollered "And I am locking the door so I can get some Christmas Shopping done!" 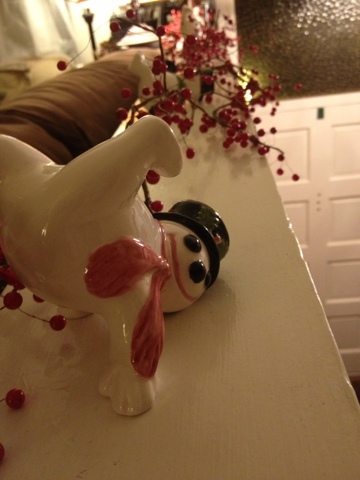 I am crazed at the holidays. 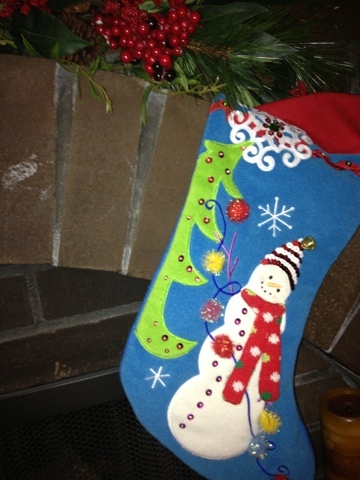 Scott will announce some time after Thanksgiving that he has got my present. Then I proceed to ask what is it? And bug him relentlessly until Christmas. He never gives in. I think he loves that surprises drive me mad! I have to hand it to him.. If I had me on my back, I would tell me just to get me quiet! And honestly, that is my tactic..try to have him give in. I have even stooped to tell him that Conrad has already told me what it is. Of course that will not work as he does not tell a soul. Though in my mind I imagine him at his office a work with his office mate listening to him tell him what he bought his wife, and laughing that she is going bonkers trying to get it out of him. Arghhhhhh. Thanks ROY! Calling Scott Roy is an inside joke. Having fun with Copic sketch markers. 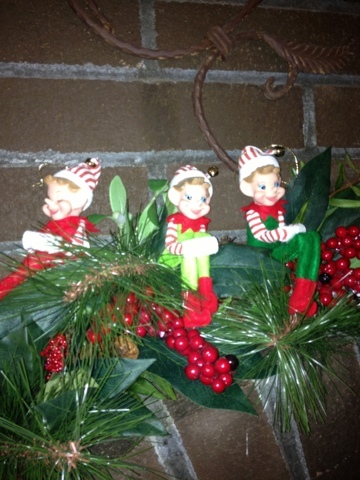 Stamps: Cat's Pajama's Uga, Buga, and Boo, Impress Happy New Year. The lights, well I free handed that doodle. 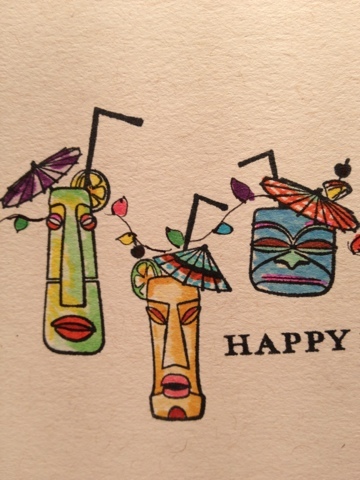 Scott prefers the colorful tiki's over the wood shaded ones. 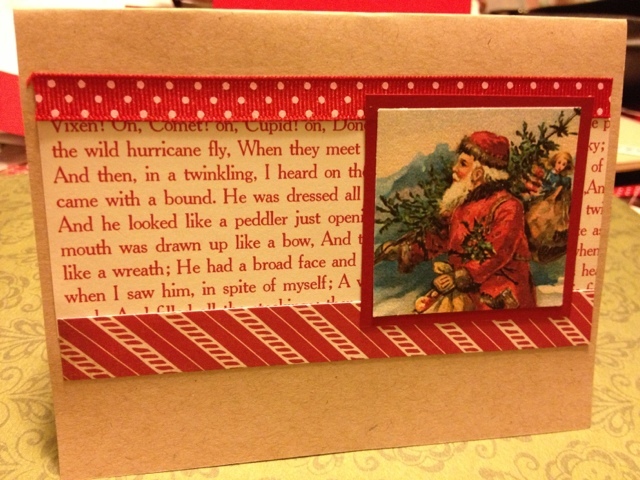 I took Daring Cardmaker's card challenge for a just because card. 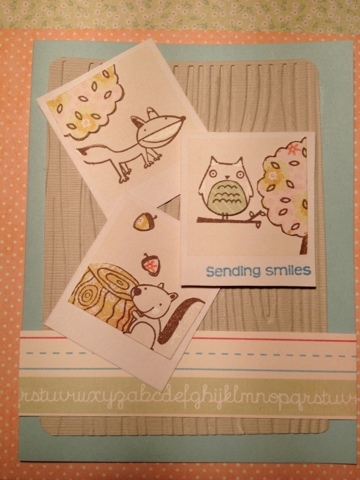 I love card making so much, that I find since I have started entering a challenge, it makes me more familiar with what I have, and where I have it stored! Spring colors inspired me on this gloomy day. I love making smaller more intimate cards. 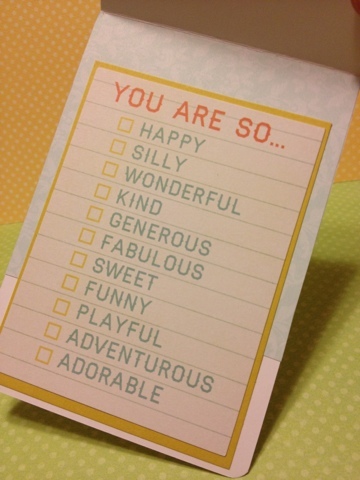 I hope your day is cheerful! 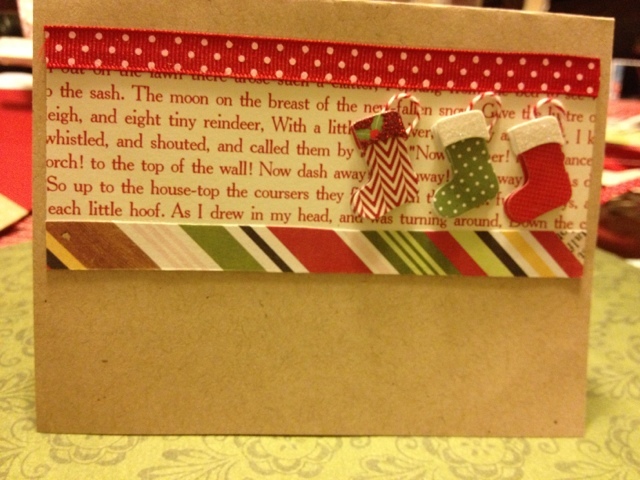 I made this card for my friends Donna and Rosemary. They have a houseful of dogs, so another would fit right in. I am no copics master, but I did my best on the blending. I hear he is recovering... so far so good. Thanks.. I said a short prayer today for Jeffrey Wiener. "May all go smoothe and well for you on this day. May you be renewed and may your strength return to you." This is for (my husband) Scott's father that is scheduled to have heart bypass surgery today. My husband is (pretty affected) sitting by the phone today waiting until he knows all is well. Thinking of you both. I was inspired to check out Targets addition to their crafts section: American Crafts. 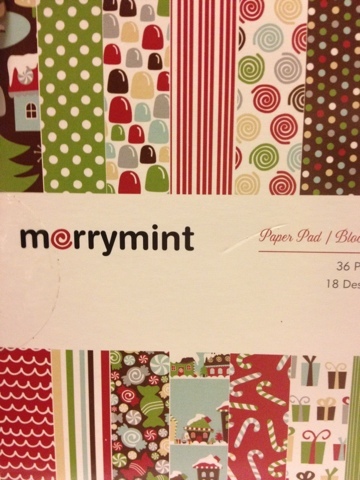 I loved the Merrymint pad, and in the card section spied some cute felt stickers. 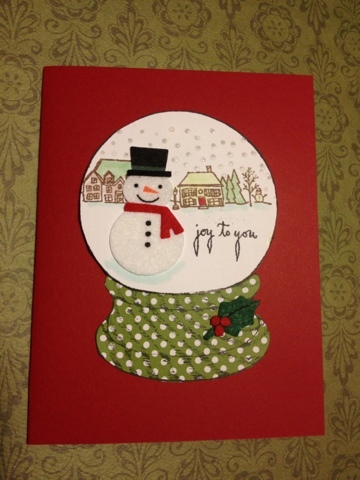 I have always wanted to do a snow globe card, and I was hoping these cute little snowmen would be the right size. 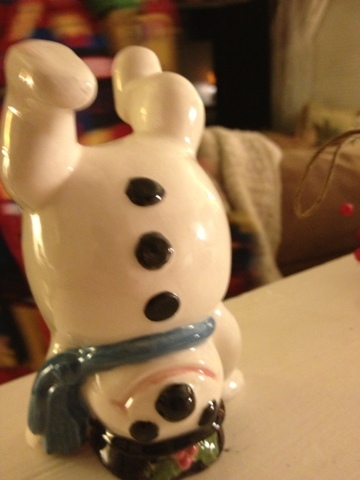 I think the snowman was just right. I fit in the background, and I have to say I love this card. 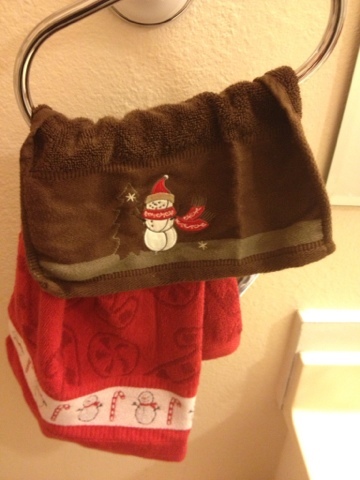 It just tickled me christmas. So I guess my stamp style is modernistic simplistic? Not quite sure??? 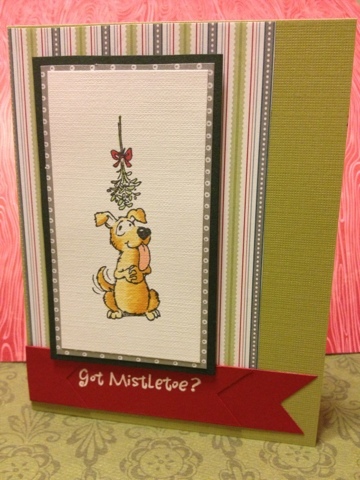 I love the AMuse critters and making this card was so fun. 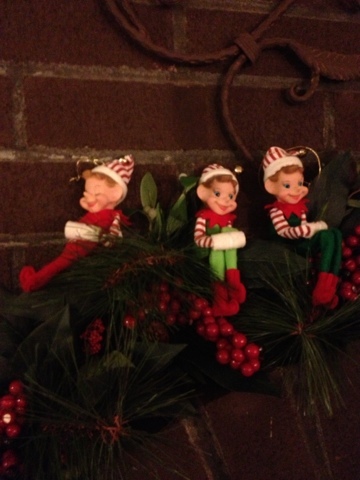 How much cuter can it get when you have these guys sending you warm wishes? I am sending this to a co-worker that is (his wife) expecting. 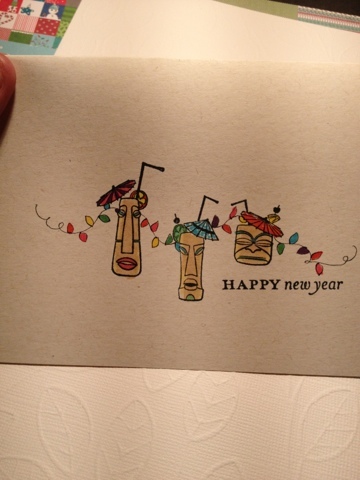 My new years resolution is to make and then send out my cards! 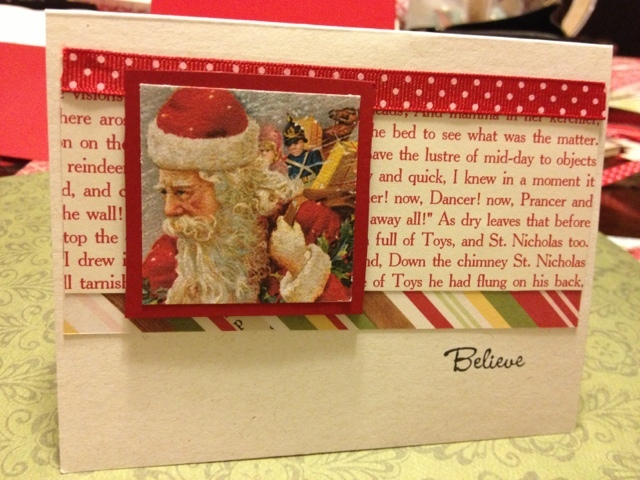 I am always inspired after a card class with Liz and Kerry McDaniel. I did some country vintage theme cards tonight.